But this is just the start. This matter is far from being resolved, and it may well be that the outcome is a quite unsatisfactory judgement about the portrayal of cycling. We need to examine the issues regarding ASA judgements on matters of safety on the road in more detail. The ASA has in effect admitted that it was wrong to object to Cycling Scotland’s video presentation of the position of the woman cyclist. Since this is the position recommended by National Standards cycle training they could do nothing else. However, on the matter of a helmet and the normal clothing of the cyclist (without “safety aids”) we do not yet know what decision the so far unspecified “independent review” to be set up by the ASA on this matter will make. Supposedly, decisions by the ASA on matters such as these are based on the Highway Code. On that basis, the CTC has raised the issue of advertisements which show pedestrians not wearing hi-visibility clothing in the dark: after all, the Highway Code requires that, so why shouldn’t the ASA censure such advertisements? It’s an interesting issue to raise as it suggests some absurdity about the ASA’s methods. But we need to go rather further than this. 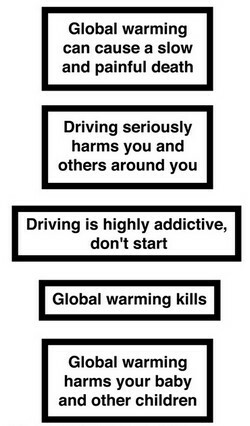 To start off with, let’s look at the rules in the Highway Code. In our opinion there is no adequate evidence base for either the cycle helmets or the pedestrian hi-viz recommendations. What this suggests is that the problem lies with some of the recommendations in the Highway Code. That is certainly the case, but it also raises the issues of Highway Code rules (and the law) as they relate to the behaviour of motorists. That is where it gets interesting. You might wish to consult a copy of the Highway Code as it relates to driving. What becomes apparent is that the rules – including the more important laws, on matters such as speed – are broken as a matter of course. Typical driving involves infringing the recommendations of the Highway Code. Otherwise you would not have some four million motor insurance claims annually. Car occupants would not want to wear seat belts (and that’s even without going into the effects of the use of these “safety aids”) . Now, I am not one to exaggerate the dangers posed by motoring in a way which might put people off cycling and walking. I am just saying that rule and law breaking by drivers is so commonplace and is regarded as such by the powers that be to such an extent that motorists feel the need to be protected from it. So, take 4.1 and 4.4 of the UK Code of Broadcast Advertising (BCAP Code ), namely that “Advertisements must contain nothing that could cause physical, mental, moral or social harm to persons under the age of 18” (rule 4.1) and “Advertisements must not include material that is likely to condone or encourage behaviour that prejudices health or safety” (rule 4.4). Or the one at the top of this post. But I am not referring to the environmental issues about car use: at present it is legal to pollute, congest, and cause widespread environmental destruction, poor health etc. by regular use of the cars that are advertised or shown in advertisements. The point is that even without such “behaviour that prejudices health or safety”, just in terms of the recommendations of the Highway Code, typical driving which we know will be done in cars shown in advertisements will indeed be “behaviour that prejudices health or safety”. What is the ASA for? My view is that the ASA is basically a self-regulating body set up by the advertising industry. A large part of the advertising is, of course, for motor vehicles. These vehicles will inevitably be used on UK roads in ways which damage people’s health and safety through breaking of the rules and laws pertaining to legal motoring. Is there any real possibility that the ASA will take any effective measures to prevent the advertising of these vehicles? In that sense, the blogger who says “The Advertising Standards Authority – not fit for purpose“ is wrong. 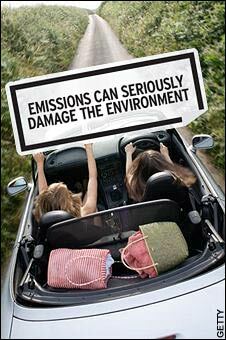 The problem is exactly that the ASA is fit for the purpose of facilitating car advertising. That doesn’t mean that advertising of cars should be stopped, although the idea of health warnings may be an interesting way of raising consciousness Also, it may seem a little unfair for the ASA to have to mediate in matters of safety on the road. As the fortnightly transport professionals’ magazine Local Transport Today (7/20 Feb 2014) suggests “When asked to think of influential organisations in the transport debate, the Advertising Standards Authority wouldn’t be at the front of most people’s minds”. Ultimately we need to be looking at the recommendations in the Highway Code as the source of the problem. But the ASA is in it now, and as LTT say “…the ASA should be prepared for criticism…”. There is a lot at stake here for cycling and sustainable transport. If every organisation (including commercial advertisers) is effectively forced to ensure that all cyclists in adverts (other than ‘fantastical’ adverts) are wearing helmets, this would really undermine the ability of advertisers to use smart-looking cyclists to epitomise free-thinking, healthy, independent-minded individuality. A source of positive promotion for the image of cycling would be denied to us. We really need to take this very seriously indeed. Of course, the ASA codes do not refer to online and print advertising, but the principle is important. You don’t need to wait for global warming, air pollution including particulates and NOx are seriously damaging to human health now! There are estimated to cause >30,000 premature death a year in the UK at the present time, it may take a couple decades before global warming has a similar impact.